The long-awaited lightweight bout between the division’s two top contenders has now been officially confirmed by UFC President Dana White. The fight between the Russian Nurmagomedov and American Ferguson, which was scheduled twice in the past, but never happened due to injuries to the fighters, was announced by UFC head Dana White as the co-main event of UFC 209 in Las Vegas, Nevada. 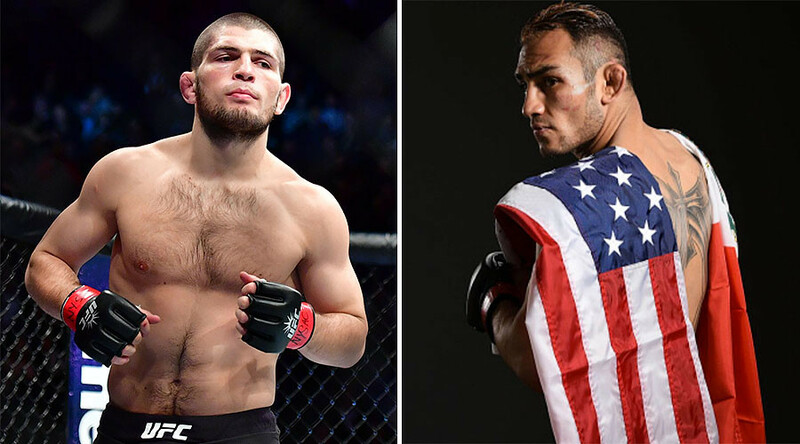 “Khabib Nurmagomedov vs Tony Ferguson for the interim LW title on March 4 at UFC 209!! !” White wrote on his Twitter account. While current lightweight champion Conor McGregor is taking a break from the sport as he awaits the birth of his first child in May, Nurmagomedov and Ferguson will clash for an interim belt, with the winner potentially facing the Irishman afterwards. Both Nurmagomedov and Ferguson currently boast impressive win streaks. Undefeated Nurmagomedov is 24-0 in professional MMA, and 8-0 inside the UFC octagon, while Ferguson has been victorious in his last nine UFC fights. Rumors about the potential bout have circulated over the last few months, with insults flying between the fighters via the press and Twitter. At the end of December, however, the UFC boss said that the fight “ain’t happening,” when the Californian fighter asked for equal pay with Nurmagomedov for the fight. “So we were trying to make that fight – Tony said he will not do that fight unless he makes the same exact money that Khabib makes,” said White talking to mmajunkie.com. Khabib, who has been looking forward to fighting Ferguson for a long time, has even offered to pay the American an extra $200,000 to make the fight happen. Ferguson later said that he would not accept any money from his opponent, while talking to Ariel Helwani on the MMA Hour show. It is not known what made the sides come to an agreement, but what will happen on March 4 in Las Vegas will surely be one of the most exciting fights in terms of skill level. Taking to RT Sport last month, Dagestan native Nurmagomedov stated that he sees the fight with Ferguson as the highest level bout in the division, and potentially one of the best in the promotion’s history. “I think this is real high level fight in the lightweight division right now,” said Nurmagomedov. Apart from their fight, the UFC 209 card includes a Tyron Woodley-Stephen Thompson rematch as the main event, and heavyweight legends Alistair Overeem and Mark Hunt clash.